We will be reading the play aloud in class as well as at home. Bring your stage voices and practice projecting! 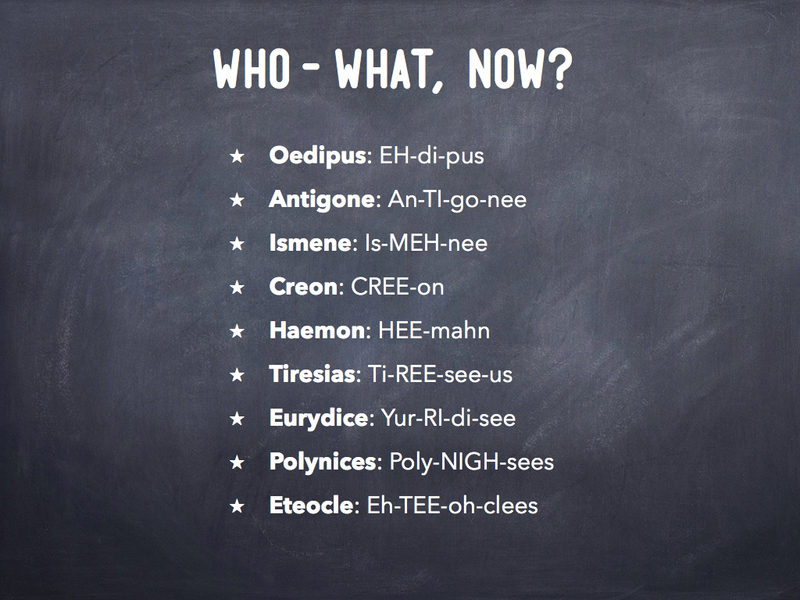 Also, here is the cast of characters and how to pronounce each one. Please use this for your character bookmarks and practice saying them. 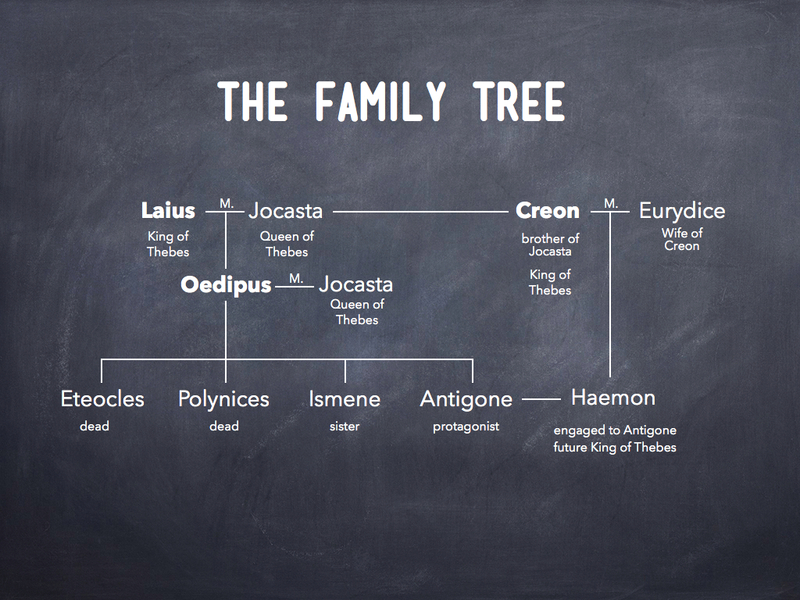 Also, here is some more history about Antigone’s family, Oedipus and Jocasta’s sad tale. But so fascinating!!! 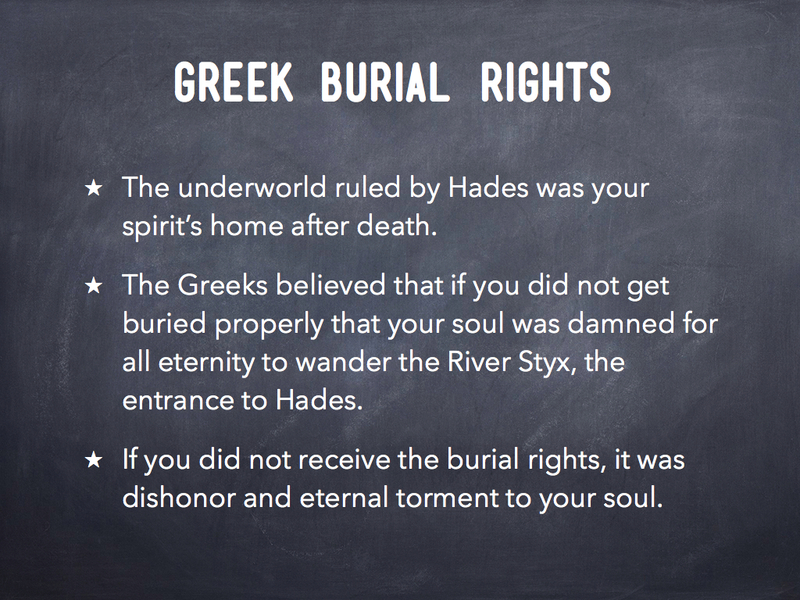 This article was written on 24 Apr 2013, and is filled under Enrichment Reading, Homework Assignments, In Class.